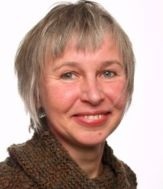 Beate Stühm works as a freelance Movement/Dance teacher and artist and, since 2009, as a Somatic Experiencing Practitioner. She trained in Aikido; then graduated from Anna Halprin’s San Francisco Dancers Workshop (SFDW)/Tamalpa Institute. Beate practised intensively in Java at Padepokan Lemah Putih and in Europe with Prapto, 1987-1997; she is a Messenger Art teacher. In Java she also practised Sumarah Meditation and did Meditation Guidance Training with Laura Romano. She edited Impressions, a Sharing Movement Magazine (1995 -2005), made video documentations “moving movies” of movement works. She sings in a polyphonic choir and trains in Neuro-Affective Psychotherapy.